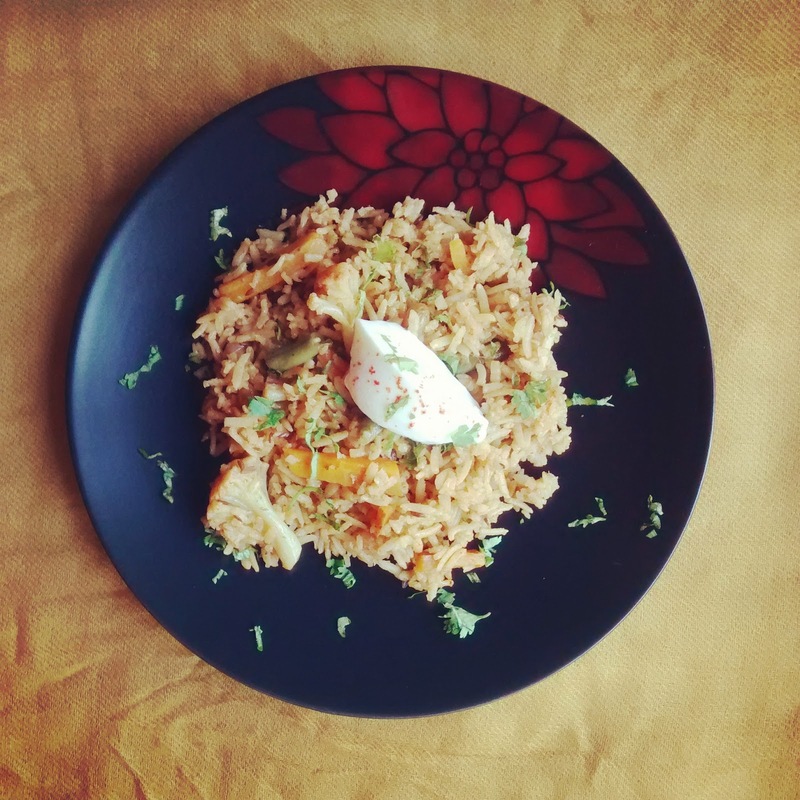 Caramel Wings: Recipe : Brown Rice Pulao. Coz Rice bhi healthy hota hai! Earn that Cupcake at the gym. Burn it off tomorrow. 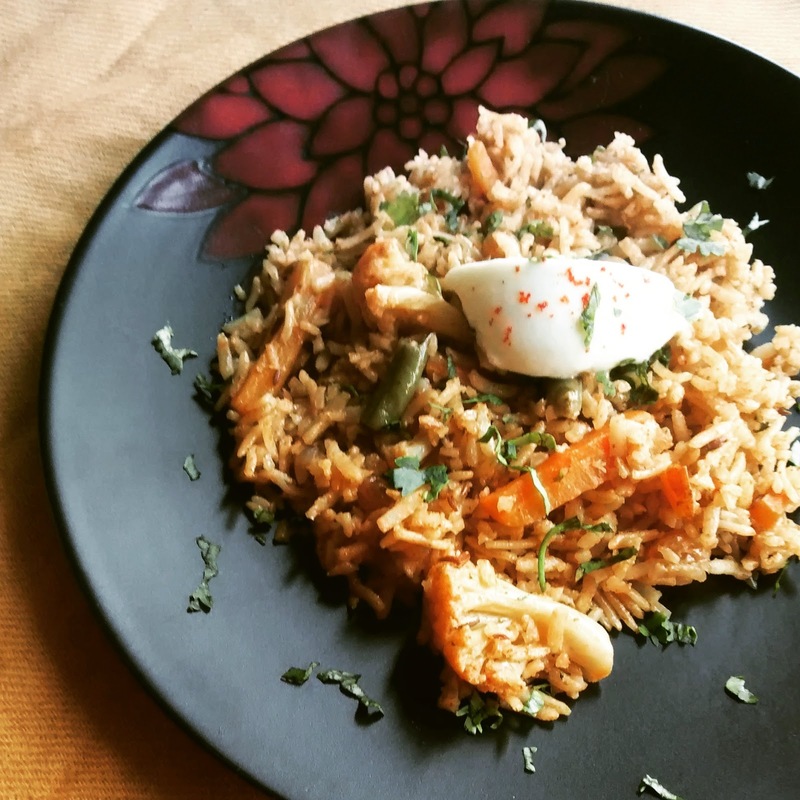 Recipe : Brown Rice Pulao. 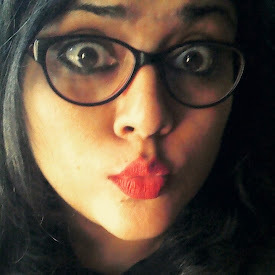 Coz Rice bhi healthy hota hai! How many people have asked you to steer clear of rice if you wanted to be healthy? How many people went "Chawal mat khana, Roti pel lo"? Well, I have a lot to say to those people, about rice, but I'm going to save it for another post. Meanwhile, Brown Rice is a super food you cannot miss out on. Not only is it high in Fiber, Brown Rice is also rich in Magnesium that contributes towards healthy and stronger bones, along with Calcium, of course. It also helps with contraction of muscles and strong teeth. Brown Rice needs to be soaked before cooking, just so that it would absorb the moisture and not have a bite to it (unless you like it that way). Load your body with this super simple complex carb rich in glucose, and do not forget to use low sodium Tata Salt Lite to make it even better! I must say, I am delighted that I am getting the chance to share so many healthy recipes with you guys and the driving force behind is the campaign by these amazing guys that urges us to make a SLITE change in our lives. A little goes a long way! 1 tbsp Ghee, you can also use Canola Oil. Soak the rice in water for 30 minutes. Heat up a pressure cooker on medium. Add Ghee/Oil. Add in cumin seeds and asafoetida followed by Onions. Sauté till translucent. Turn the heat to medium high, add in the mixed veg and ginger garlic paste. Mix to combine. Now add in the Red Chili powder and mix for 1 minute. Give the brown rice and water mixture a stir and pour it into the cooker. Season with salt, and add raisins and garam masala. Mix everything well and cook for 2 to 3 whistles (or how much ever long it takes for normal rice to cook in your pressure cooker). Open the cooker after 20 minutes of turning the gas off, and fluff the rice with a fork. Serve hot, with chilled Yogurt! Oh, these are simple flavours, and I for one am not the kind of cook who would douse everything with masalas. I like to taste the ingredients as themselves :) But the Ghee adds an interesting texture to the rice and provides a rich aftertaste! I feel some cinnamon and peppercorns would be great too! Mam in this recipes can i use paneer?If i use paneer could you think the taste wil change or if it change it come gud or nt? Of course you can use Paneer, it will taste great! :) Just sauté it along with all the vegetables and proceed as normal. Recipe: Kesar Phirni and Rose Phirni! Traveling just got easier. Get the feel of Spain with these Churros dipped in spiced Chocolate Sauce! Food Review : Good things come in small packages. Royal Sindh, Versova, Mumbai. Recipe: 'Finger Lickin' Good' Southern Fried Chicken. Recipe: Toffee Bananas. An initiative for #SeedTheRiseChallenge by Mahindra Rise. Food Review : Sizzler Festival at Bombay Blue, Bandra. I Don't Cook, But My Boyfriend Does! Caramel Wings by Caramel Wings is licensed under a Creative Commons Attribution-ShareAlike 3.0 Unported License.